Two lines of round brilliant diamonds are crossed by twisted metal. 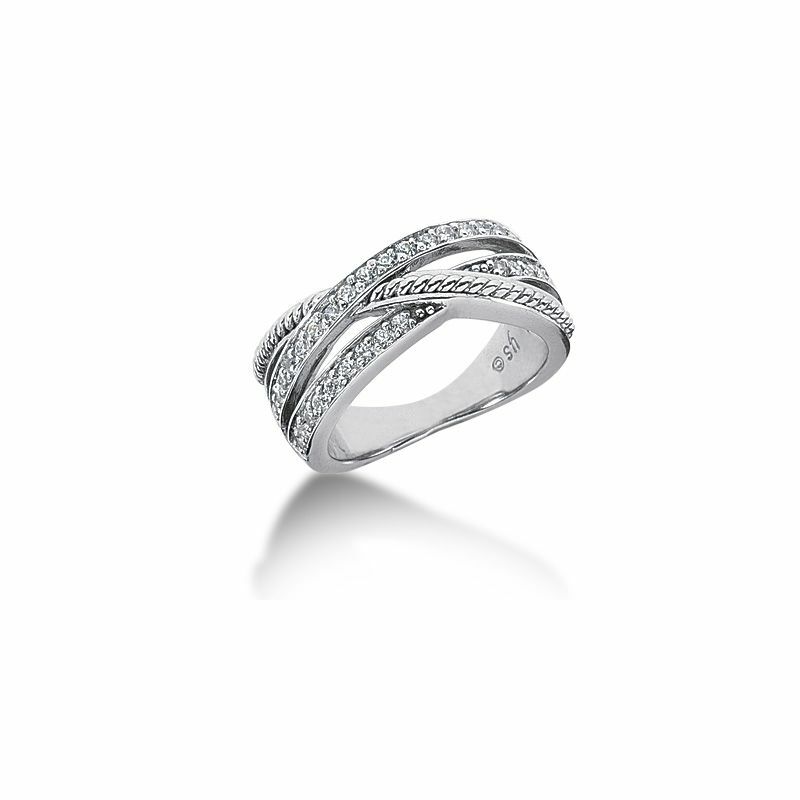 The 14K white gold metal twists through, intersecting the 32 round brilliant diamonds. 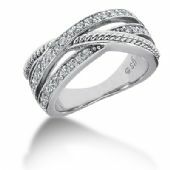 This beautiful diamond anniversary ring is a unique design, with a great modern twist. There is 0.48ctw in this diamond ring.